Throughout its pages we give thanks for all the good and positive things in our life, from Life itself, our home, food … to Planet Earth, our talents or health. All this connecting with our breath. It’s a gift for parents, a tool to connect with our children and experience Gratitude together. It’s a simple meditation where we realize all that’s positive and valuable in our lives and we take a moment to be thankful about it. It’s also a cherished tool for Yoga teachers and School Teachers, ideal for their classes. Is an excellent Gift book for our loved ones. And of course, it’s a lovely read for Grandparents with their grandchildren. We are sorry, we are out of stock of spanish, catalán and english copies at the moment. Try on one of our selling points. Softcover, 40 p., 17 x 21 cm. Contains a Reading Guide. Would you like to leave your testimony? You can do it HERE. 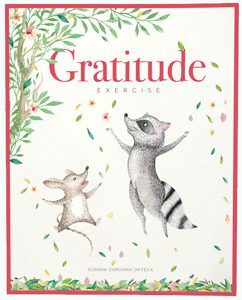 Gratitude Exercise has been written, designed and edited in Alaró, Mallorca and is currently being distributed nationally by its author, Susana Cardona Ortega. Click on the icon to display the list of places. 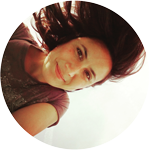 Passionate about children and books, I have been an editorial designer for more than 10 years. In 2017, thanks to my life experience, the inspiration of my son Ramiro and a long sequence of coincidences, I publish my first book, Gratitude Exercise, with which I want to convey a simple —but very powerful— message to children and adults: the conscious practice of Gratitude. I consent to Libro Ejercicio de Gratitud collecting my details through this form.